She did it to herself. I just took the picture. 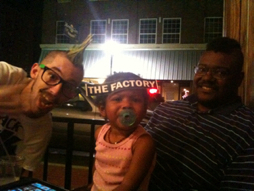 In the picture: Uncle Max (front man for Social Bliss), Ravebaby, and DH.